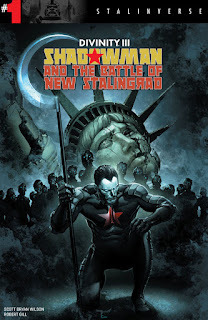 Fangirl Review: Valiant’s Stalinverse Curses DIVINITY III: SHADOWMAN AND THE BATTLE OF NEW STALINGRAD #1 – Coming in February! The year is 2017…and, in the Communist-occupied streets of New York City, oppression and violence lurk in every shadow. But when the global Soviet Union targets the Statue of Liberty for destruction, there will be Hell to pay...and Jack Boniface has come to collect. As Shadowman, Jack will resurrect the sacred power of his people…and raise an army of the dead to meet the Russians where they stand. 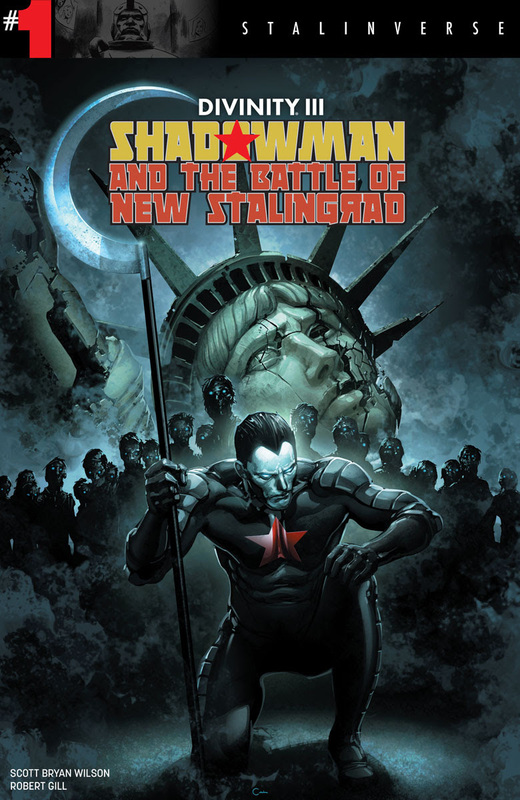 But even Shadowman’s revenant freedom force will find something to fear when the brutal Komandar Bloodshot and unstoppable Aric, Son of the Revolution arrive to crush liberty’s last sparks of life...and put down the dead forever! On February 8th, darkness falls over America’s last bastion of freedom! Out of the shadows, a new kind of hero will rise as Scott Bryan Wilson and Robert Gill summon the Deadside in DIVINITY III: SHADOWMAN & THE BATTLE OF NEW STALINGRAD #1 – featuring covers from Clayton Crain(4001 A.D.), Marco Rudy (Uncanny X-Men), Diego Bernard (NINJAK), Trevor Hairsine (DIVINITY II) and Kano (Daredevil)!